Candidates are informed that the Written Examination will be followed by Documentation, Physical Standards Test, Physical Efficiency Test, Practical Test & Medical Examination. Final merit list as per the advertised vacancies will be prepared in respect of candidates who have qualified all the stages/events. The Inspector General, Frontier Headquarter BSF, North Bengal, Post - Kadamtala (Siliguri), District - Darjeeling (West Bengal) - 734011. 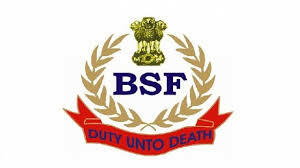 The Inspector General, BSF TC&S Hazaribagh, Meru Camp, Hazaribagh (Jharkhand) - 825317.